Forum Main The Hub Is the 29 / 27.5 combo (97.5) bike here to stay? "Business in front, party in the back!" The UCI reversed its policy of banning mixed wheelsizes late last year for DH and Enduro. Within weeks, several teams experimented pairing a 29" front wheel with a 27.5" rear wheel, notably, Specialized, GT, and Polygon. Neko Mullaly tested a reverse mullet build on his Tues, 2 years after trying it out on his old Gambler "Frankenbike". 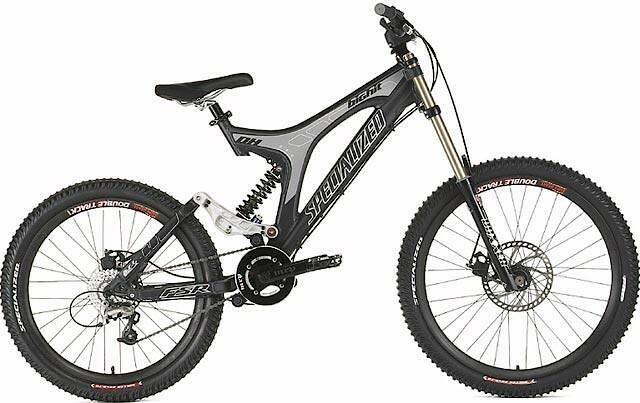 In recent times, there have been a few intrepid manufacturers who actually designed and released 97.5 gravity bikes, like Foes and Liteville. Reviews were generally positive but no discernible data has been released comparing it to bikes with same-sized wheels. Is the 97.5 bike a true game-changer? Will it only fit specific riders and/or riding styles? Will a 97.5 bike ever win the World Cup overall or the EWS? Will a 97.5 bike ever win a World Cup or an EWS Round? Mixed wheelsizes should be banned! rad question and poll! visually, i can't stand the look of them, but finn's drift and result at crankworx yesterday was pretty darn rad. i voted yes, we'll see a win at some point. here's maes' 97.5 bike from NZ enduro, too. I believe that for a while there will be 97.5, but in the long run I find it difficult, much easier for the industry to make only 29 items available than the two models. I believe bikes 29 are complete and the difference of 97.5 is not relevant. We'll see. The combo will never stick. Just something new and shiny but the glimmer will tarnish. It's bikes. They will go fast under fast people. Having ridden both a 29/27.5 and a 27.5/26 I think they ride fine. I’ve really enjoyed the recent crop of longer travel 29ers. My only issue is that at 5’10 but with a VERY short inseam (<30”), i buzz the tire on steeps quite easily (which also occasionally happens at seams on big rock slabs for me, as well). I’d like to see theability to run a 27.5 rear if possible. I have a similar issue on my Sentinel (I'm 5'9" with a similar inseam). However, I think there are a few things that mitigate this. Longer reach figures, which put you more central on the bike (as opposed to the hanging off the back that comes with short reaches) and longer chainstays, which also allow for a more neutral position for similar reasons.That said, while I do buzz every once and while, I don't really find it to be a major problem. I've never buzzed my rear wheel and had any real issue as a result, other than being somewhat surprised/distracted for a couple seconds. The real question is do you throw a 29" front wheel on a 27.5" frame or a 27.5" rear wheel on a 29" frame? Both have pros and cons. I trust whatever Neko says implicitly. And he’s already told me and the rest of instaland “meh”. In all seriousnous I don’t think it’s gonna stick around for long, maybe not even long enough to score a win and even if somebody does get a win it won’t be cus they’ve found the new magic formula of wheel sizes. It seems unlikely that there is much of an advantage over going full 29er for racing. Personally I'm considering running the mismatched wheels on an enduro bike, but more for practical reasons: use a high end 29er wheel for longer rides and racing, but a lower end 27.5 wheel and DH tyre for shuttles and bike park. DH tyres and strong wheels have a pretty high weight penalty in 29. 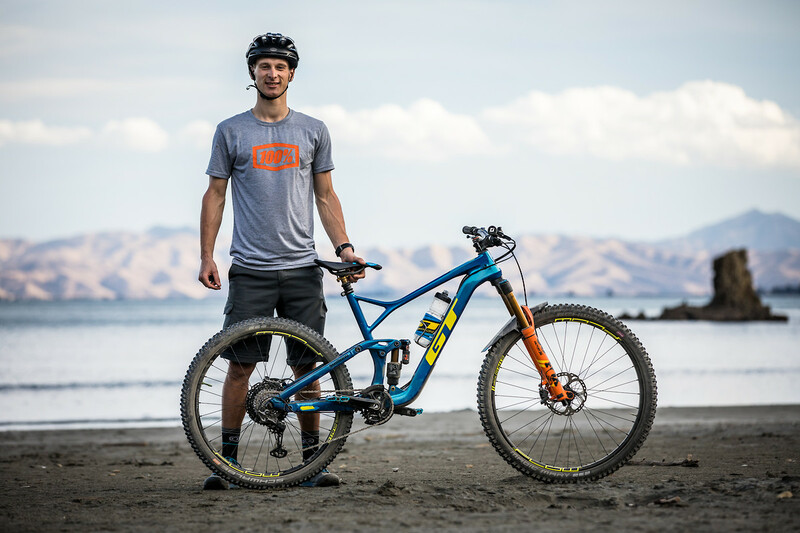 Amaury Pierron won the world cup DH series last year on a commencal 29er. Cecile won the overall on a 29er. ...and Hill and Meas dominated on 27.5. You throw a 29" front and a 27.5" rear on a specially-made frame. And it has an all-new hub standard to go with a new BB size. Good question. There are limited choices on the DH front (the GT Fury being one) but there seems to be more versatility on the enduro side. The 27.5 GT Force LTS and the 29 GT Sensor LTS seem to share the same front triangle (probably why Maes is using a 97.5 Force this year). Meanwhile, the 29 and 27.5 Kona Process 153's seem to have the same rear triangle. Truth be told, my next build is probably going to be a Process 29 with a 27.5 rear wheel. Guerilla Gravity's recent modular design and manufacturing direction makes it possible to build a 97.5 enduro bike. Other long travel 29ers with short chainstays and an average bb height would theoretically be good candidates also. For a while I ran my Santa Cruz Super 8 with 26" front and 24" rear. It cornered like no other bike that I've ever ridden. In a parking lot, I could make a 90 degree turn onto a white divider line in the space of about a square foot. Pre load in, carve the front hard and stomp the rear around. I think it's the future and there will certainly be a podium if not a win. I think 97.5 isn’t far enough. Need to go 29x26 to really feel the difference. Maybe a Combo with a plus tire. I'm loving my firebird 29 in the high setting with a 27.5 rear wheel, it's just a tad lower and slacker. I certainly like the rear clearance and the ability to pump manual over holes on rough tracks and off ledges. A bit less traction though and a little rougher. The bike has more grip on scetchy off camber with 29's though. If more 29ers had some adjustment it would be more common. Adding a 29 front wheel and fork to a 27.5 throws the Geo way off. I prefer the reverse mullet in terms of manuverability and it's really fun to ride. For shorter riders it's the way forward! I'd love to hear the actual science behind why it shouldn't work ? I understand that one wheel should in theory spin differently to the other but does a bike stay on the ground long enough really to make this unsettle the bike, ill prob get shot down for thinking that haha but yeah very interested to hear the thoughts behind it ? Not exactly science (I’m really stupid) but when tipped over the smaller wheel will (in theory) turn with a tighter arc than the larger one. Though I haven’t read anything from anyone who’s yet to have felt any affect from this whether negative or positive. I’d imagine this isn’t a good thing...in theory. Other than that I don’t think there’s any reason it shouldn’t work. It just might not offer any benefits over conventional bikes. From my own limited experience I thought 29ers grip a bit better in off cambers and obviously they’ll roll better than the 27.5, they get less hung up particularly during slower chunkier sections. So maybe the 97.5 bikes will do better in the Enduro than WCDH events? Personally though I still don’t really see the point but perhaps certain riders and styles will gel with the 97.5s just as we’ve kinda seen with 29ers? 97.5 is nonsense. It's either one wheel size or the other. That's interesting. The thing is though, the front wheel turns on an arc as the bars turn and the rear doesn't follow the same path. Also the rear steps out and tends to drift more than the front. Perhaps the fact that the rear wheel is spinning faster and cuts a tighter line would be noticeable on pavement but I can't feel anything unusual happening.